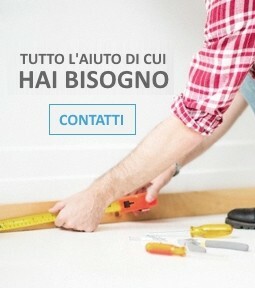 BRAD NAILERS Ci sono 15 prodotti. Pneumatic brad nailer for C series brads. ZT Line. Suitable brads lengths: 15-20-25-30-32-35-38-40-45-50 mm. 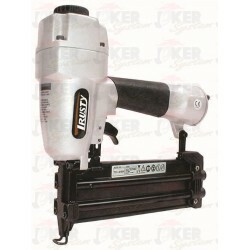 Pneumatic brad nailer for C100 series brads. ZT Line. Suitable brads lengths: 15-20-25-30-32-35-38-40-45-50 mm. 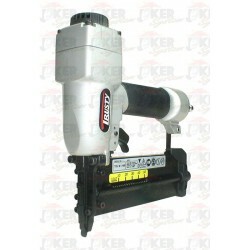 3 in 1 pneumatic brad nailer for P100 series headless pins, SENCO series brads and C100 series brads. TRUSTY Line. Suitable fasteners lengths: 15-20-25-30-32 mm. 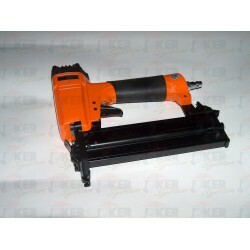 2 in 1 universal pneumatic stapler for C100 series brads and 90 series staples. TRUSTY Line. Suitable brads lengths: 20-25-30-32-35-38-40-45-50 mm. Suitable staples lengths: from 20 to 40 mm. Pneumatic brad nailer for C series brads. TRUSTY Line. Suitable brads lengths: 15-18-20-25-30-32-38-40-45-50 mm. 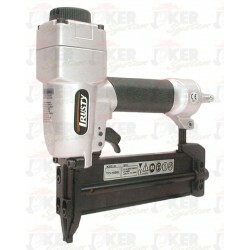 Pneumatic brad nailer for C series brads. TRUSTY Line. Suitable brads lengths: 20-25-30-32-38-40-45-50-57-64 mm. 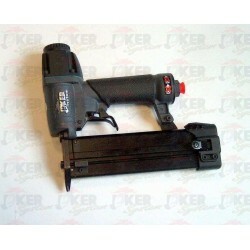 Pneumatic brad nailer for C series brads. PT Line. Suitable brads lengths: 20-25-32-38-45-50-57-64 mm. 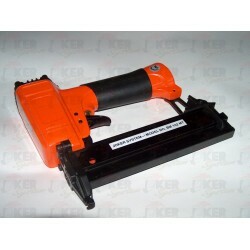 2 in 1 universal pneumatic stapler for C100 series brads and 90 series staples. TRUSTY Line. Suitable brads lengths: 15-20-25-30-32 mm. Suitable staples lengths: from 15 to 32 mm. Pneumatic brad nailer for C100 series brads. MT Line. Suitable brads lengths: 12-16-20-25-32-35-38-40-41 mm. 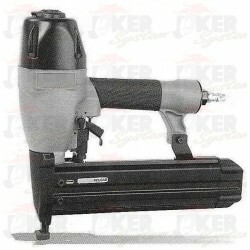 Light duty pneumatic brad nailer for C series brads. MT Line. Suitable brads lengths: 20-25-30-35-40-45-50 mm. Wire size: 1.4x1.6 mm. 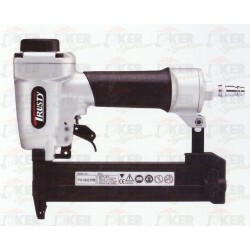 This brad nailer is particularly suitable for STC40 brads of 40 mm in length. 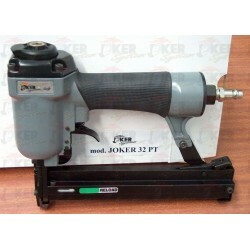 Pneumatic combi nailer for C6 series brads and P6 series pins. NT Line. Suitable brads and pins lengths: 12-15-17-18-20-21-25-30-35-40 mm. 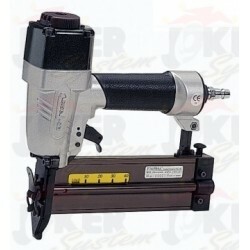 Universal pneumatic stapler for C100 series brads and 90 series staples. PT Line. Suitable brads lengths: 10-13-16-19-22-25-28-32 mm. Suitable staples lengths: from 10 to 32 mm.